Natural Disasters and Their Cost | Sees-Inc.
2017 Set a Record for Losses From Natural Disasters. It Could Get Worse. Insurers are set to pay out a record $135 billion to cover losses from natural disasters in 2017, the world’s largest reinsurer said Thursday, driven by the costliest hurricane season ever in the United States and widespread flooding in South Asia. Overall losses, including uninsured damage, came to $330 billion, according to the reinsurer, Munich Re of Germany. That tally was second only to 2011, when an earthquake and tsunami in Japan contributed to losses of $354 billion at today’s dollars. Insured losses from weather-related disasters were at a high, making up most of the $135 billion. Munich Re executives warned that losses would continue to escalate. “Some of the catastrophic events, such as the series of three extremely damaging hurricanes, or the very severe flooding in South Asia after extraordinarily heavy monsoon rains, are giving us a foretaste of what is to come,” Torsten Jeworrek, a Munich Re board member, said in a statement. The United States made up an unusually high share of global insured losses last year — about 50 percent, compared with just over 30 percent on average. Hurricane Harvey, which made landfall in Texas in August, was the most costly natural disaster of 2017, causing losses of $85 billion. 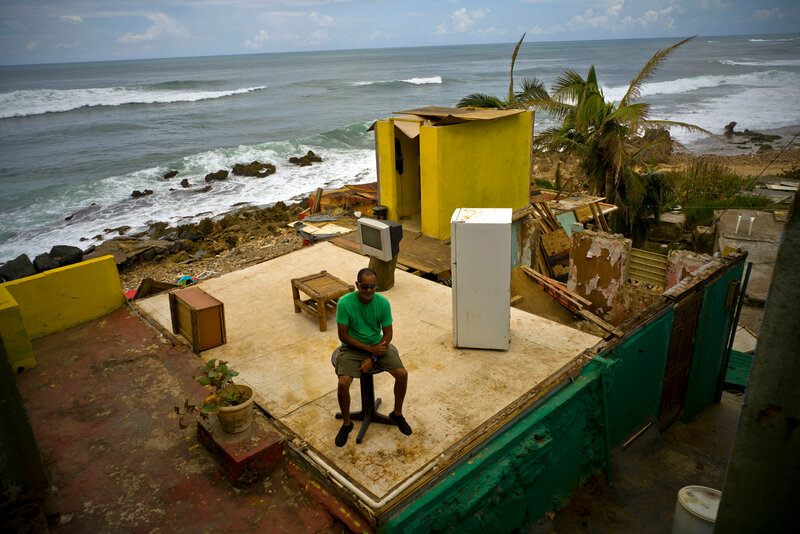 Together with Hurricanes Irma and Maria, the 2017 hurricane season caused the most damage ever, with losses reaching $215 billion. But that wasn’t all. The devastating wildfire season in California drove insured losses to around $8 billion. And at least five severe thunderstorms across the country, accompanied by tornadoes and hail, caused insured losses of more than $1 billion each. 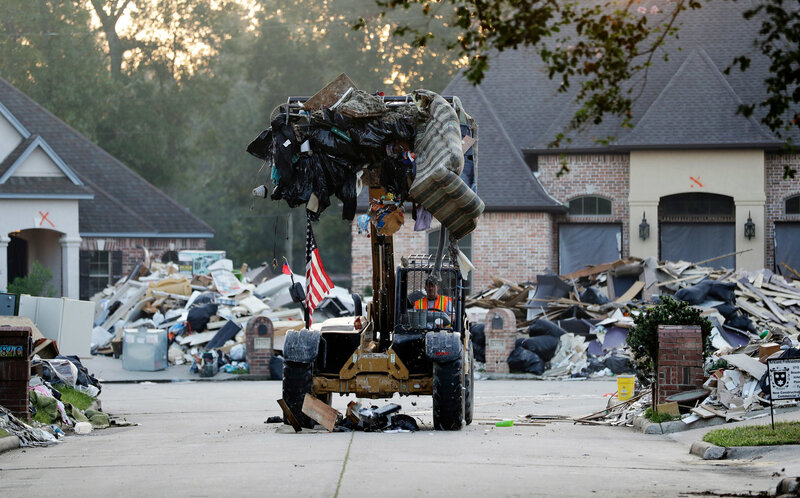 Mark Bove, a senior research meteorologist at Munich Re, said in an interview that losses jumped in the United States because so many of the disasters hit highly populated areas: the Houston bay area, South Florida, Puerto Rico. That was a trend he expected to continue. 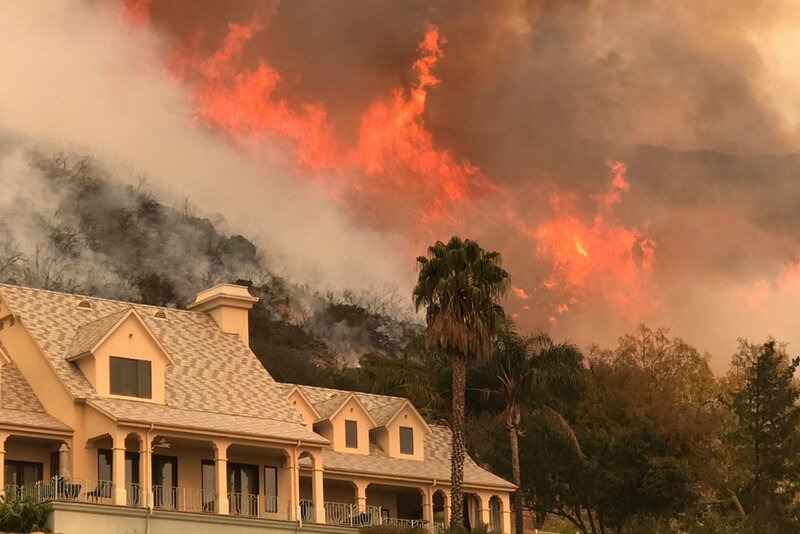 People are moving to warmer climates, putting them in the path of hurricanes, and more people are affected by California’s fires, he said. “And we don’t build buildings to withstand the weather we see today, let alone what we might see as the climate changes in the next 10 to 20 years,” he said. In Asia, heavy monsoon rains that lasted about four weeks longer than usual killed 2,700 people and caused $3.5 billion in total losses. The Terai lowlands in Nepal, home to almost half the Nepalese population, were most severely hit. In Europe, unusually low temperatures in April caused billions of dollars in damage to farmers, shrinking some harvests by 50 percent. The damage was especially costly because crops had already grown robustly in an otherwise warm spring. Similar volatile weather patters are set to become more frequent as the climate changes, Munich Re said in its news release.